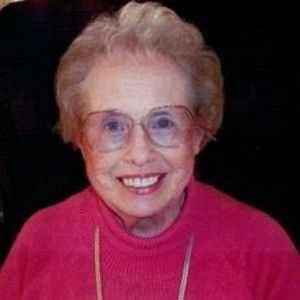 Anne Marie Tollefson Renly, age 85, died on Monday, December 17, 2018 at Life Care Center, Reno, Nevada. She was born March 11, 1933 in Orfordville, the daughter of Art and Emily (Harnden) Tollefson. She graduated from Orfordville High School, attended Milwaukee State Teachers College, and was a member of Delta Omicron, music sorority. Anne married Edward Renly, the love of her life, on September 19, 1952 at Orfordville Lutheran Church. He died September 29, 1976. Anne was a farm wife and mother. She was a lifelong member of Orfordville Lutheran Church, where she was employed as secretary for 3 years, was active in the local and district levels of the church, and belonged to the church women's group. She worked for the Village of Orfordville as police and fire dispatcher for 3 years, and received her EMT license in 1980. Anne was an Administrative Assistant for Rock County Human Services for 17 years, retiring in 1998. She served on the Permanency Planning Review Panel at Rock County Human Services after retirement. She was a member of Swani Chapter of International Association of Administrative Professionals holding offices. Anne was a founding member of the Merry Twenty Homemakers: a close knit and very active group in the community, who sponsored the annual Senior Girls' Tea, and Merry Twenty Homemaker's Scholarship. She is survived by her children: David (Jane) Renly of Jackson, WI, daughter Yvonne Gardner of Fernley, Nevada, cousin Mary Ellen Ehle, of Orfordville, sister-in-law, Violet Renly of Monroe, and nieces and nephews. She was preceded in death by her parents; husband Edward, infant brother Thomas; son-in-law Ken Gardner; and brother-in-law Marvin Renly. Funeral services will be held at Orfordville Lutheran Church, 201 N Main St, Orfordville at 1:00 p.m. on Thursday, December 27, 2018 with Pastor Andy Twiton officiating. Burial will be in Orfordville Lutheran Cemetery. Memorials may be made to the Edward and Anne Renly Scholarship Fund at Parkview High School, Orfordville. The beautiful and interactive Eternal Tribute tells Ann Marie's life story the way it deserves to be told in words, pictures and video.